Nice, laid back atmosphere. Perfect for relaxing after walking on the downs ... but beer seems a bit inconsistent on my visits. Yesterday, one great pint, followed by an ale that really needed to settle for some time before being served. 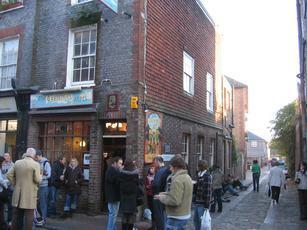 Rather cramped and scruffy pub but in a nice part of Lewes, near the river, and with a very interesting selection of ales. 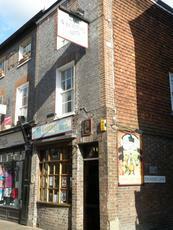 This remains a quality pub serving very good beer. Thoroughly enjoyed my last visit,the only pub in Lewes that seems to stock ales from further afield,Bristol Beer Factory, Liverpool Organic etc. Concur with the last post. There was a female barperson here who was abrupt and mannerless; happy to serve regulars, she had an apparent hatred for occasional drinkers. 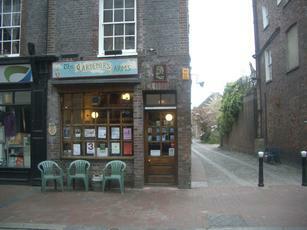 Thankfully she's gone (or fired) and the place now has a friendly atmosphere, full of all types.